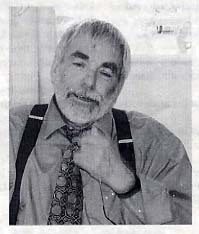 Michael Gerrard, one of West Wycombe’s best-known and unique characters, died on 30th June 2005 after a sudden short illness. He leaves a wife, Judith, sons Richard and William, granddaughter Alice, stepchildren Toby and Hannah and a brother, David. Michael, who was 63 years old, had lived in West Wycombe since 1945 and attended West Wycombe Primary School, before going to the Royal Grammar School. On leaving school he trained as a primary school teacher at Newlands Teacher Training College, and then worked at many of the local primary schools until his death. Michael was a keen sportsman, joining High Wycombe Hockey Club whilst at school and was a member for 45 years. 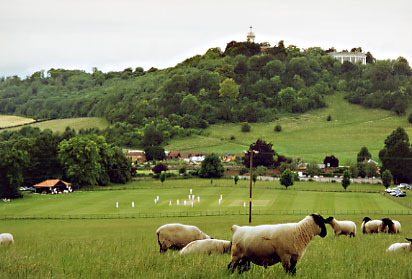 He had also been a stalwart member of West Wycombe Cricket Club for 42 years, and spent many happy hours tending and mowing the cricket meadow as well as being an active member of the team. A true village person, he became a Parish Councillor when the Council was created in 1987. He had a wealth of local knowledge and was an invaluable colleague who had the ability to make members approach a subject from a broader and alternative perspective. He had recently attended a meeting to discuss the new High Street lighting project and the County Council officers could not believe that he not only knew all his neighbours but could provide a great deal of history on many of the buildings - a rarity in this day and age. Michael had recently been involved in the restoration and renovation of the Church Room Clock and had written the leaflet and quiz designed for children to learn about it. A project that combined his love of history with working with children. He had a wicked sense of humour and was renowned in the village for his bizarre antics, he had the wonderful ability to create a great deal of laughter and fun; he has taken so much with him and West Wycombe will be a poorer place with his passing. 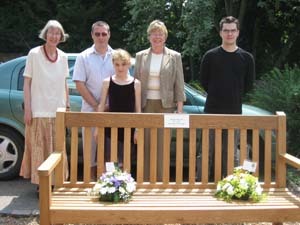 A seat was commissioned and still to this day sits near the Village Hall and photographed here are his wife Judith on the left, Vicki Smith (Chair of the Parish Council), surrounded by Michael's sons and granddaughter.